In Ukraine, Mykola Romaniuk (Pro presidential Party of Regions) and other two deputies in his faction proposed an amendment to the law of electricity, a so called “local content” requirement. 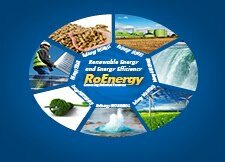 Because Romaniuk considers Ukraine to be a very attractive market on renewable energy for the foreign investors which are eager to enter on Ukraine’s market and having in view the green tariffs rates - the government pays high prices for the electricity from renewable energy sources – he considered opportune to request the increase of the “local content” used to built renewable plant up to 50 percent, from the current 30. This amendment could create more jobs on the renewable energy sector, increase the tax revenue and also develop Ukraine’s renewable energy market by assisting production. On the same time, some foreign investors are concerned that the “local content” requirement will force out the foreign businesses interested in the Ukrainean renewable energy market.